[STOUFFVILLE, ONTARIO] – Economic development and environmental sustainability go hand in hand, as proven by the newest Toyota dealership in Canada. Stouffville Toyota today held the official grand opening of its new $11-million, state-of-the-art facility. 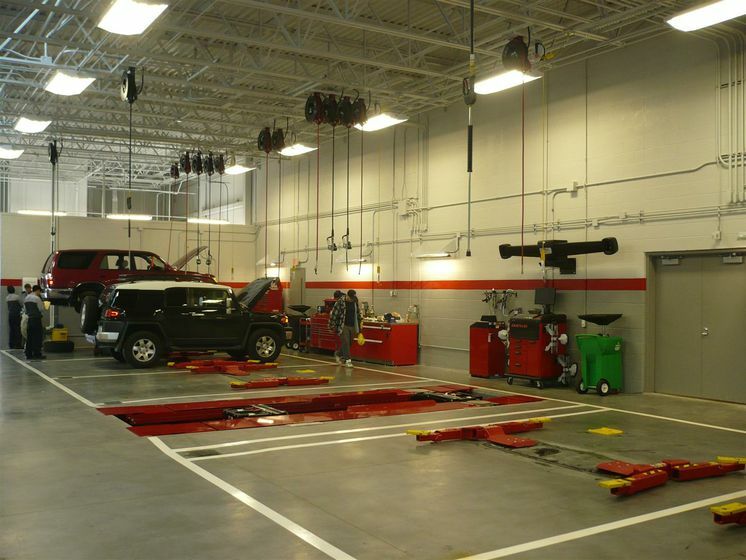 Employing 25 and featuring a 9,300 sq-ft showroom and 14 service bays, plus extensive environmental building systems, the dealership is currently pursuing Gold Certification in the Leadership in Energy and Environmental Design (LEED®) Green Building Rating System. Situated in the environmentally sensitive Oak Ridges Moraine, the dealership was designed around three key objectives: creating a customer-focused dealership, designing a sustainable facility and integrating new programs to foster environmental awareness within the community. 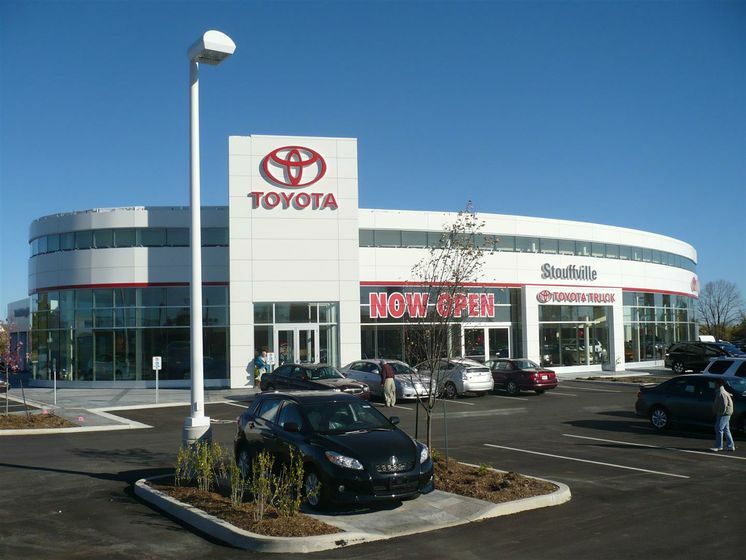 As a result, Stouffville Toyota is expected to achieve remarkable sustainability performance, including a reduction in energy costs of more than 70% and a reduction in fresh water consumption of more than 80% compared to similar facilities. And an in-floor heating system fed by state of the art boilers that are 95% efficient. In addition, Stouffville Toyota will conduct a green building education program that will include guided tours of the facility. This aims to teach visitors about the sustainable technology used at the dealership, and promote the importance of sustainable businesses and lifestyles. As Toyota strives to lead a transition to sustainable mobility, vehicles such as the Prius Plug-in Hybrid will play an important role. 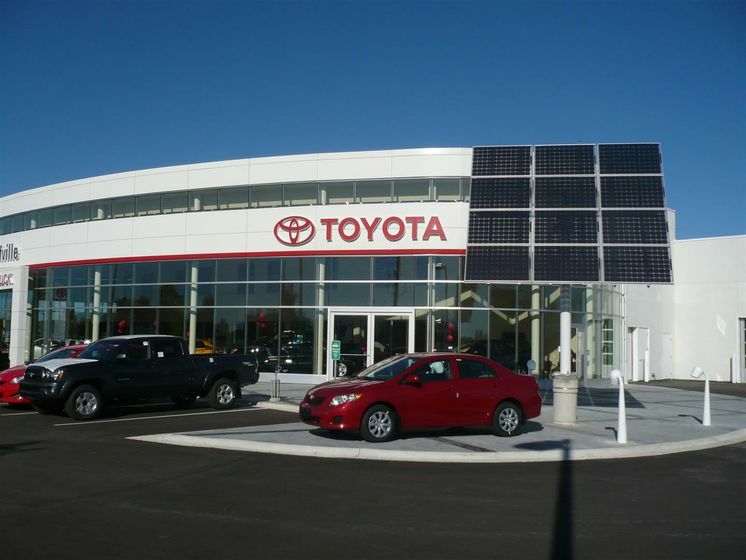 But beyond sustainable mobility alone, Toyota also recognizes the need to achieve harmony between industry and the environment - Canadian Toyota dealerships like Stouffville Toyota are part of these efforts. Toyota Canada has also achieved ISO 14001 certification across facilities operating in Canada, diverting 91% of waste from landfill at the company’s Canadian head office facility. Toyota Canada has also partnered with like-minded organizations such as Earth Day Canada and Evergreen to advance corporate green initiatives. For more information on Toyota’s environmental initiatives, please visit toyota.ca/environment. A view of the solar panel tracker on the dealership property. Dealership pursues LEED® Gold certification with systems that minimize energy and water use, plus education program that encourages sustainable business practices. Dealership pursues LEED® Gold certification with systems that minimize energy and water use, plus education program that encourages sustainable business practices.